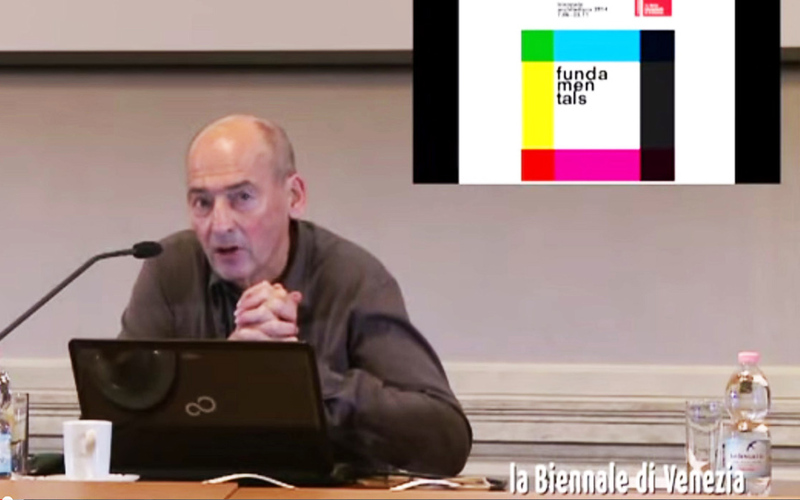 This year marks the opening of the long awaited Biennale curated by Rem Koolhaas. This is probably the most meaningful one to date and we’re anticipating a string of amazing events. We will attend this week’s opening. See you there! Last year, we were selected to compete on a site where Julien lived until his third year of Architecture School. This situation presented a very rare condition in architecture: to be able to address a context that we as architects knew intimately, probably better than anyone. The site, owned by the municipality is composed of a series of houses, public spaces and the cafeteria of the local school, Clair-Vivre, where Julien also had is primary education degree. The house in which he and his mother lived until she passed away, was part of the masterplan and was meant to be replaced by the newly designed project. 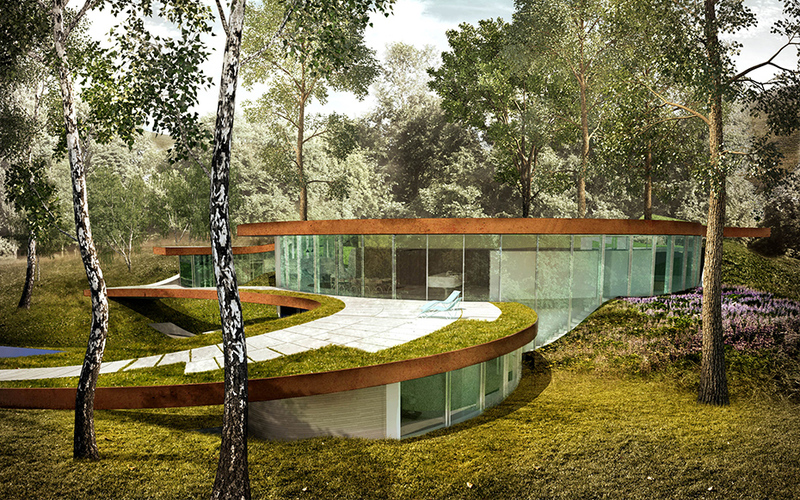 In this context our intervention became very particular: on the one hand marked by the desire to fully address the project’s brief and on the other hand, to inform our design by the intricate knowledge of having apprehended the entire site and surrounding neighborhood, years after years while growing up. The project organizes the mass of new programs, the large scale housing slab, in order to allow a series of public space interventions and to integrate the school sports hall and cafeteria into its urban logic. 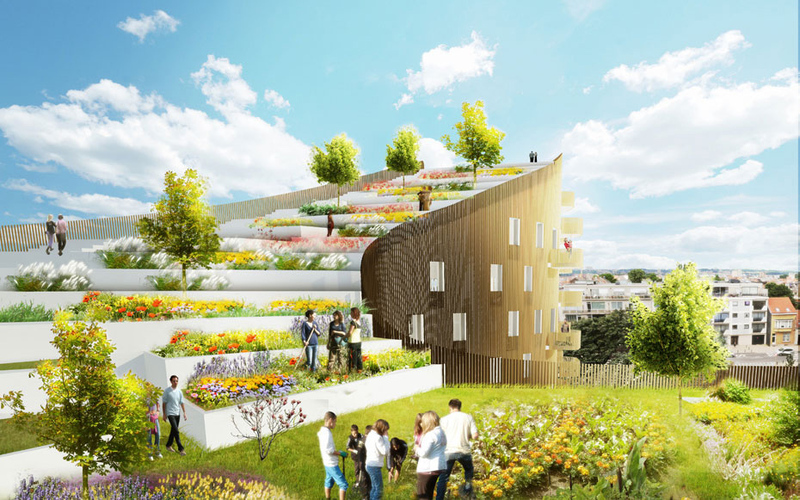 As Julien’s mother had done her entire time living there, the project proposes to make, at a much bigger scale, an urban farm and flower garden on the roof for the new residents. The volume of his house is kept but mutated into a greenhouse to serve as the community and cultural house of exchange with Lokossa in Bénin (Africa), the sister city of Evere, the municipality it resides in. The greenhouse hosts a myriad of plants from Lokossa and functions as a gathering place for the local community. It is a form of homage to Julien’s mother love for African cultures but it also answers the necessity of a place for the 2 municipalities to relate. Finally, to our disappointment, the winner was appointed with a project of a traditional, enclosed perimeter block structure. On the 11th of June at 12.30 the Pavillon de l’Arsenal will open an exhibition of the Calberson MacDonald redevelopment in the North East of Paris. The old industrial facility is the longest building in Paris. The building undertakes a conversion into a mix of office, residential and commercial programs. 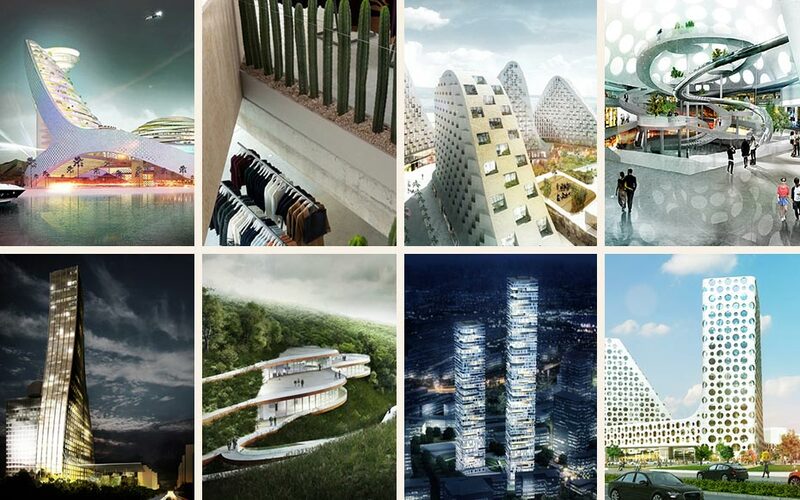 Its masterplan was handled by OMA/Rem Koolhaas with Floris Alkemade. 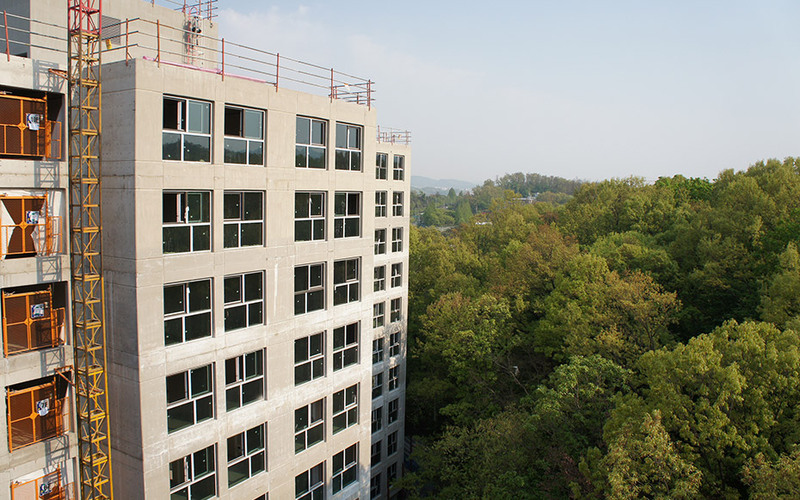 JDS is building two housing projects within the complex, adding up to 100 apartments. It will be completed later this year. 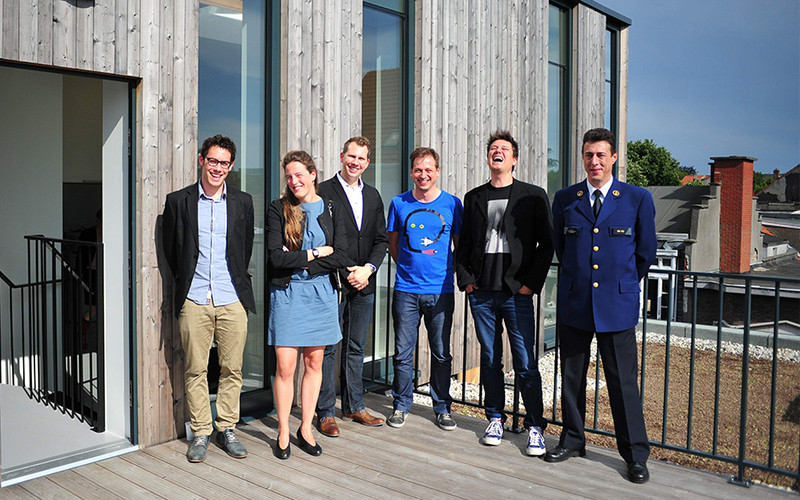 We are proud to announce the opening of our very first building in Belgium. The outline of the project’s brief was intriguing at first: to design a facility for the police department of Antwerp that would be able, in time, to become a residential building. The idea of isolating the main volume away from its neighbours is as much a desire to break out from the historical scenery as it is to emancipate its purpose as a potential transgender building. 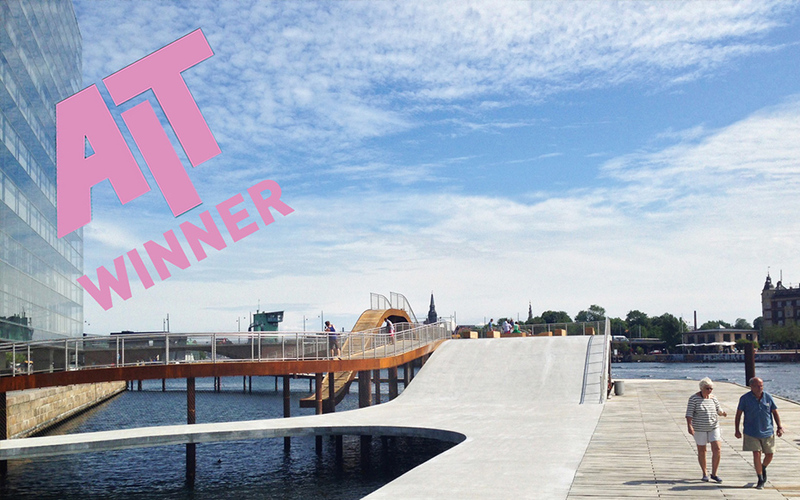 The Faaborg harbour bath project (which we all used to name FAB…) is now open! If you’re in the region anytime soon, don’t hesitate to try it out, it’s free to all! After enjoying 2 weeks of summer life in late 2013, our Kalvebod Waves waterfront project had to face the harsh reality of an early, long winter. Since then it has been busy collecting award Nominations (Architizer A+ Finalist 2014) and winning the AIT Award 2014! Now the project is fully operational for its first full summer season and awaits your creativity to use and abuse it! 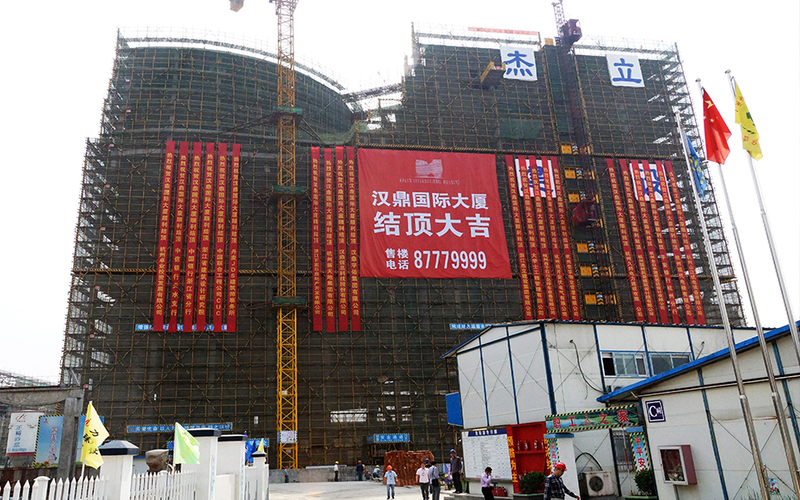 This past week we have traveled China to visit our different construction sites and to meet new clients. 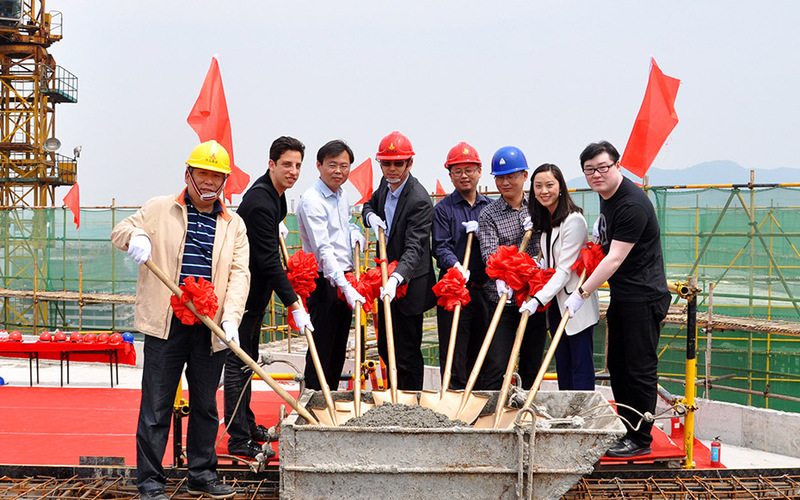 We went from Shanghai to Hangzhou, Wuhan, Qingdao and finally back to our Shanghai office. Located in between Istanbul’s center and its airport, the Zeytinburnu neighborhood faces the sea of Marmara. Our site is located on the waterfront and benefits from amazing views to the bay. To manage to profit from those views throughout the entire depth of our site we composed a structure that alternates high and low peaks. See jdsa.eu/zey. Avaza Park is a project containing an aqua park, sport installations combined with a hotel and a yacht club. Located in an improbable site on the Caspian sea, the project carves out the coast to remain free standing, or rather free floating. See jdsa.eu/ava. The making of an interior for a new concept store is something that is both a small task and a very meaningful one: small in size and in apparent complexity. Meaningful in the fact that a contemporary concept store attracts trendsetters and a culture minded audience. Especially when the its concept is to blend fashion, product and furniture design, a bookstore and temporary art exhibitions into 260m2. It called for something even more unexpected: a reference to Frida Kahlo’s cacti fence, emblematic of where she lived and worked in Mexico City. See jdsa.eu/sfy. The Polyforum Siqueiros site, in the heart of Mexico City, is an unlikely but equally precious blend of political, societal and artistic history. When asked to profane that sanctuary we decided to create a building that would celebrate its authenticity by manipulating the public space around to improve its accessibility and visibility. We then proposed to refer to the original neutral beauty of another equally ‘vandalised’ place: the Cité Administrative in Brussels. Although the Cité Administrative has recently mutated architecturally we decided to give its undeniable original stylistic purity a form of homage by applying its façade rigor to our Polyforum project in Mexico City. The result is a contrasted and distorted reflection of the original Polyforum onto a warped version of Brussels longest slab, turned into a tower. See jdsa.eu/poly. The Hammershus Visitor Center in Bornholm is a paradox: at once a noticeable gateway to the historical site, then a hidden landscape tucked into the hill, finally a dominant and proud corniche, reinterpreting the topography in its own way and positioning itself as a response to its neighboring wonder, the castle of Hammershus. See jdsa.eu/ham. 2013 was marked by our first attempt at a project in uber architecturally cool Austria. 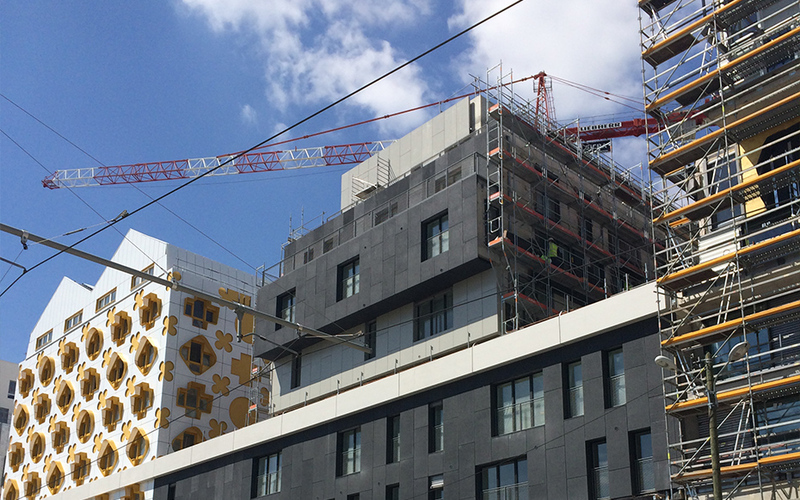 We teamed up with X Architekten to submit for this 100000 m2 mixed program project in the immediate vicinity of the new central station of Vienna. See jdsa.eu/vie. The K2 project is a high density residential complex that aims at squeezing the impact of the buildings onto the ground to allow for a maximum amount of outdoor parks to proliferate locally. The buildings propose a multiplicity of typologies to compose a 3-dimensional Tetris structure of apartments spiraling up a central circulation core. See jdsa.eu/k2. 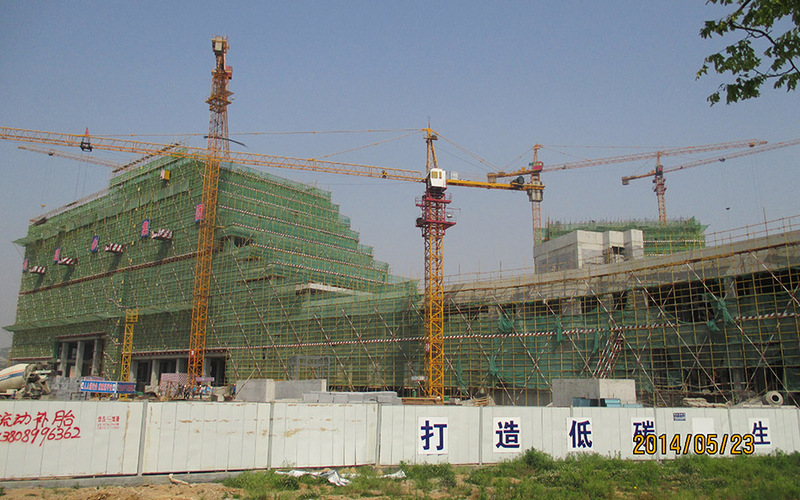 The Qingdao Open Hand project is a project that addresses urban issues and boils them down to the scale of a building. The project is split in 2 phases, together gathering 5 individual buildings joined into a common public space. Like 5 ‘fingers’ joined by the palm of a hand. The first phase, currently under construction, is a commercial and office entity of 180,000m2 and makes up for the 2 first and most representative ‘fingers’ of the development. 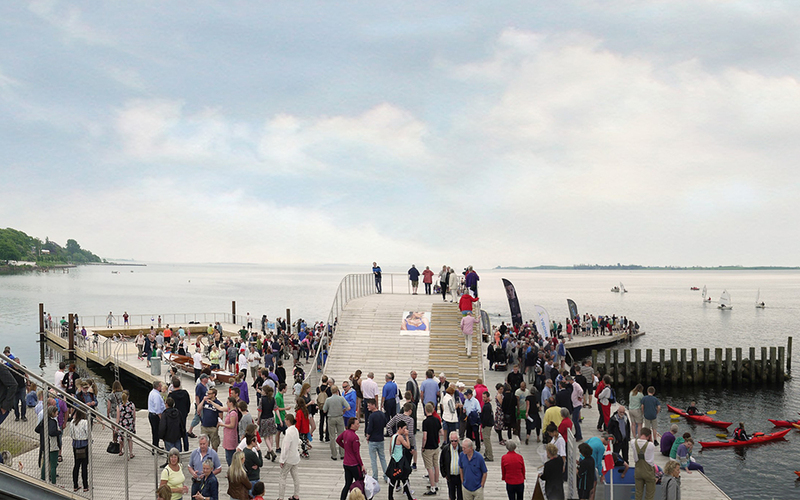 The ‘palm’ of the hand is a large and open public space spreading on all the roofs to allow views to the sea. See jdsa.eu/qoh. We’ve had a string of press clippings. Here’s a small selection of those we felt deserved to be uploaded on our website’s press section. 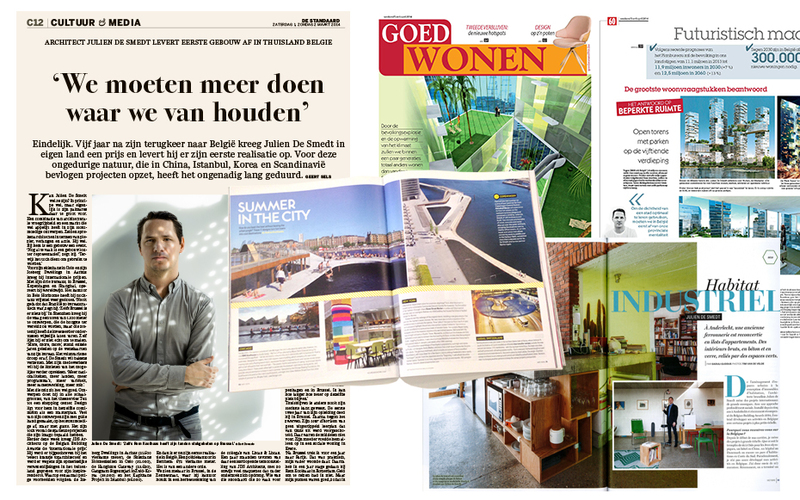 New clippings include articles from Standaard, Laatse Niewus and Victoire Magazine and two video interviews (part 1, part 2) conducted by Arch Archiurbain (in French). This project is a double first for us and we’re very proud of it: The first family house and first submittal of Building Permit in our city, Brussels. Next month we will reveal the pictures of a weekend house we completed in the French Jura region.